Here’s what’s happening in the world of television for Friday, July 27 and Saturday, July 28. All times are Eastern. Orange Is The New Black (Friday, Netflix): OITNB is back, and picking up the pieces after the prison riots made for a messy, chaotic, tear gas-infused Litchfield—and season. 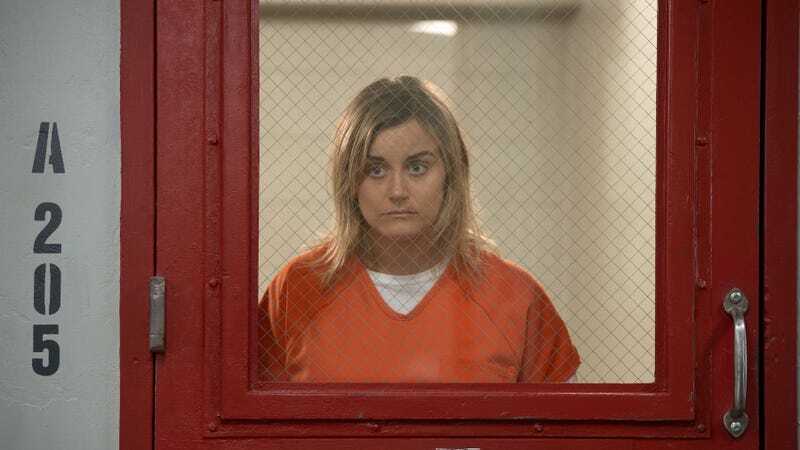 And what better way to restore order than by sending the remaining inmates to Litchfield Max? The season six trailer shows Piper, Taystee, Suzanne, and Red (where’s Alex?) settling into a new ward with new rules, succumbing to post-riot interrogations, and forming alliances based on the color of their new uniforms. And while we’ll be saying goodbye to the characters who were shipped off to other prisons, it looks like we can expect new inmates to be folded into the mix—plus the surprise return of Lolly! Myles McNutt’s recaps will begin rolling out early Friday morning. Pink Collar Crimes (Saturday, CBS, 8 p.m.): Pivoting from a fictionalized account of Piper Kerman’s prison experiences to dramatic reenactments of real-life law-breaking, this docudrama capitalizes on the true-crime trend and a peculiar surge in so-called “pink collar crimes”—that is, low-level offenses committed by inconspicuous women in positions of limited power. Think school board members embezzling money, office secretaries committing fraud, and a series premiere that shows a soccer-mom-turned-bank-robber operating out of a red minivan. Each episode of the season features commentary from author/TV correspondent/O.J. Simpson prosecutor Marcia Clark, a feminist icon well-poised to offer insights on the systemic conditions that drove these women to a life of crime.